All bathrooms have the same basic features. Most all include a shower and a sink, some have tubs that look great, and a bathroom wouldn’t be a bathroom if you didn’t have the toilet. However, most people do not put much effort into choosing a toilet. They all seem pretty basic. 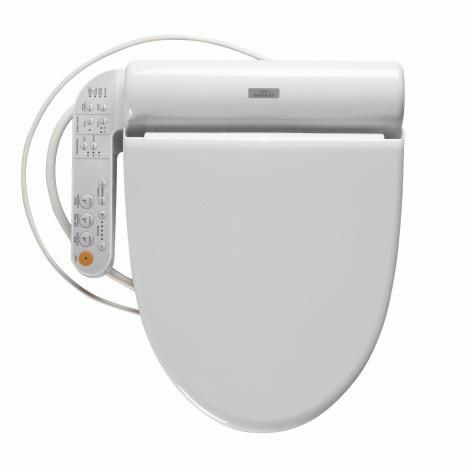 The TOTO B100 aims to prove that your toilet can be great. 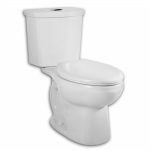 Why not give our TOTO B100 Washlet elongated toilet bowl review a glance to see why it is more than a toilet? 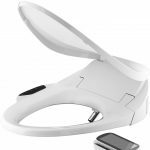 The TOTO B100 washlet is featured on our guide of the ﻿﻿top 5 bid﻿﻿et attachments. This toilet is an elongated two-piece toilet seat to ensure that you have a comfortable seat when in use. 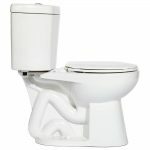 This is preferable for many who feel that circular toilets do not have enough room for them for them to be comfortable. To further increase your comfort, the toilet seat is heated. 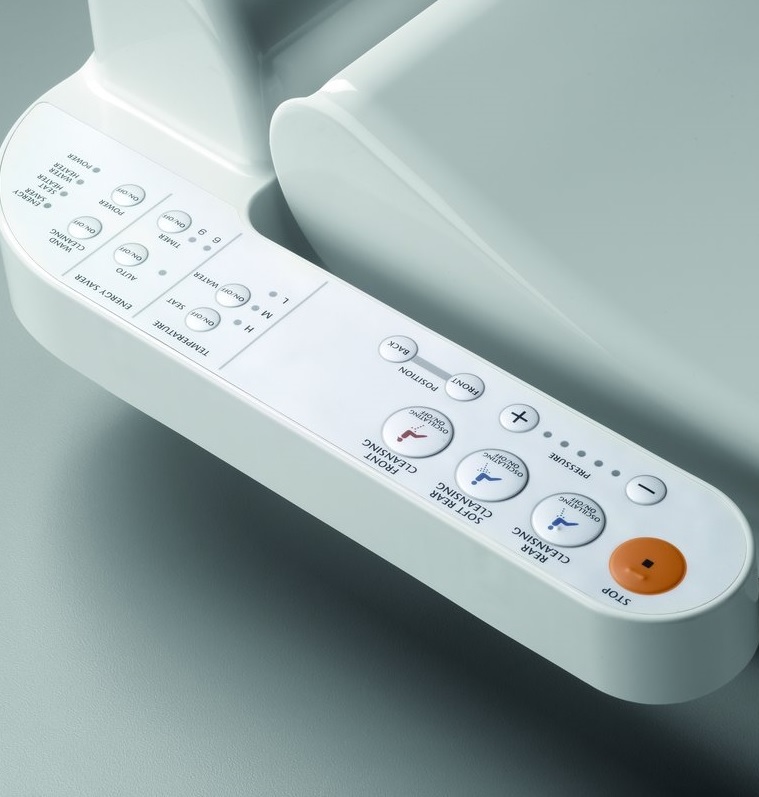 You can control the temperature using the controls on the left side of the toilet seat. This control unit is powered by electric wiring and can also give you an aerated warm water rinse. It is available in white or sedona beige. 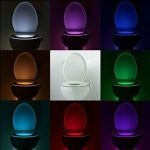 You can put it in your home, choosing the right color, based on the overall decor in your bathroom. This is a lighter toilet at only 10.6 pounds. It ensures that if you have to move it or work on it, you will not have to separate tank from bowl to work with it. 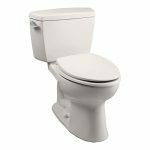 To give you piece of mind when purchasing a toilet that requires electricity, there is a 1-year warranty on it. 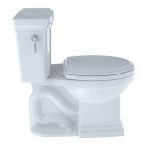 This ensures that if you have any issues with the toilet or the way it works for you in your home, you will be able to replace it or have it repaired without hassles. Installation is easy and the water spray is also easy to align. You should not have many issues with either one as long as you have a basic knowledge of how a toilet is installed. This is one of the more economical TOTO Washlet toilets. It gives you the features of the TOTO ﻿﻿Neorest without the price tag. 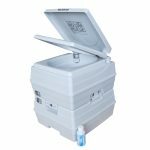 This makes it a great choice for budget-conscious buyers who want the luxury of a heated toilet seat and water spray hygiene. It also does not require a filter or have features that you may not use, such as an air dryer to dry your bottom. They love that all you need to make it work is a regular wall outlet near the toilet. Most say that it can be installed and ready to use within 30 minutes of opening the box. Why Choose This TOTO Washlet? This toilet is easy to deal with. One of the biggest complaints with it is that there are some people who have a small leak where the water hooks into the tank. This can usually be solved with a piece of Teflon tape or something else that will give you a water tight seal. The only other issue is that the toilet control is right beside the toilet seat. This can pose a slight problem for people who are larger in the hips and thighs, but in general, it should be comfortable for most people. In a few cases, people do not like that it is a two-piece design because it can be a little more difficult to clean. 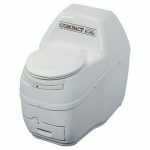 The biggest reason people want this toilet is the simple fact that it provides a mini shower each time you visit the bathroom. This makes some people feel cleaner and more comfortable as they go throughout their day. They also like the elongated shape of it because it is easier to sit on and dry off after the mini-shower. 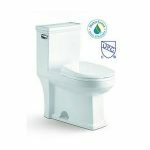 It has a good flush movement to ensure that the bowl is cleaner than standard toilets. The warranty is there for you to be able to feel comfortable in the fact that your investment will not be wasted if you are not happy with it. 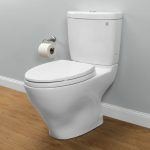 In short, this one has a lot of features that standard toilets cannot provide, at a price that is affordable for most budgets.